← Is a Crackdown on Chinese Imports Looming Ahead? The label claims it’s “100 percent” grated parmesan cheese. Cheese lovers everywhere were dismayed to learn recently that the parmesan cheese they’ve been sprinkling on their pasta may contain cellulose, a wood byproduct that’s used to make paper — and Walmart is now feeling the brunt of it. 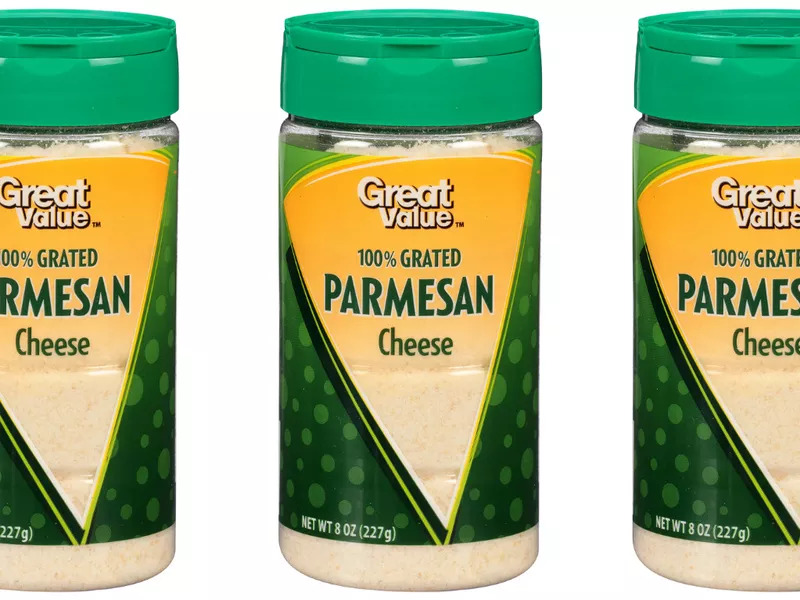 A class-action lawsuit has been filed against the retail giant for selling cans of “100 percent” grated parm that tests showed to actually contain up to 10 percent cellulose, reports Bloomberg. The lawsuit filed in the U.S. district court for southern New York claims that Walmart has engaged in “unlawful, deceptive, and misleading business practices” by selling “100 percent” parmesan that isn’t actually pure cheese. It states that if not for the misleading label, lead plaintiff Marc Moschetta wouldn’t have purchased the product, or at least not at the “premium price” it was being sold for. (The price in question was a whopping $2.98, or $5.42 if Moschetta sprang for the 16-ounce container.) If the lawsuit gets class-action approval, that means consumers across the country would be able to get a piece of whatever settlement Walmart might end up paying out. Interestingly, Walmart isn’t the only chain to be facing a lawsuit over cheese purity right now: Earlier this month a class-action suit was filed against McDonald’s over its recently introduced mozzarella sticks. The plaintiffs claim that the cheese used in the sticks is not in fact “100 percent real cheese” as advertised, but in fact contains some starch filler. Brace for more litigious cheese lovers to get sue-happy — in the meantime, people truly concerned about cheese purity should just buy their own damn wheel of Parmigiano-Reggiano and a cheese grater.